We’ve all been guilty of it. As we sit, slouched over, in our last class of the day, eyes barely open, head falling backward, we think to ourselves, “If I can just make it through this ONE class…” Finally, class dismissed, we stumble back to our rooms and collapse into our beds with the noble intent of waking up in 30 minutes. Instead, we wake up 3 hours later. That’s right, ladies and gentleman, this is a blog about the great college tragedy: failed power naps. Once upon a time, when I was a freshman here at Loyola University of Chicago, I was a champion of power napping. I could nap whenever I wanted, for however long I wanted, and wake up refreshed and ready to tackle my hours of work. It didn’t matter if it was 10 minutes or 2 hours; I was good to go. 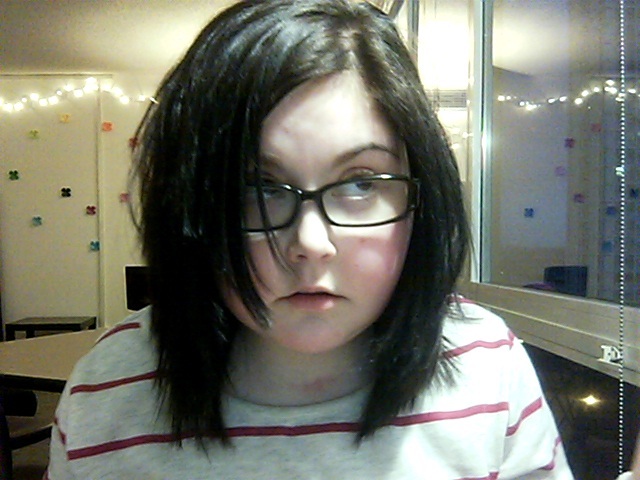 Am I even alive right now? Needless to say, I’m less than productive as I try to reorient myself with reality. 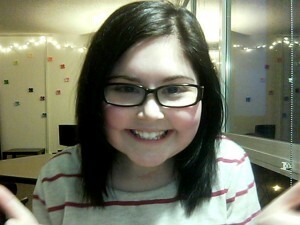 But friends, this tale has a happy ending. Recently, my friend showed me something that changed my life: http:///www.sleepyti.me. This life altering website determines what length of time you should set for your naps so you wake up at the end of a sleep cycle, instead of in the middle of one, which is apparently the cause of my post-nap confusion as to what decade it is. With this website by my side, I can now set my alarm without fear, and go on to alternately power nap and take over the world…or at least nursing school. Speaking of which, don’t call me for the next 44 minutes. And happy napping! Yes! I'm Alive (and well aware that it's 317 days until The Hobbit comes out)! This past Wednesday, Loyola planned and paid for a great dinner in downtown Rome in addition to a mass held in the most beautiful church I’ve ever seen. It was optional, but it was great to see that many people decided to go. Since the campus only has about two hundred students, we are all growing very close. The mass was at Chiesa di Sant’Ignazio. It was a huge, beautiful church, and the mass was led by Loyola’s own Father Al. It was a special mass, the Mass of the Holy Spirit, and it was strictly for Loyola students and faculty. It was cool because a few of our students got to sing as well as deliver a few of the readings. After the mass, we all went out to dinner. It was another amazing four course meal. We had two types of pasta, ham and potatoes, salad and then tiramisu. The Italian’s tend to eat a lot, seeing as they eat more than one course, but they also space out their courses and usually eat for hours. Every time my peers and I have gone out to eat, we’ve been at the restaurant for two to three hours. I actually like that better; we get more time to enjoy the food as well as each other’s company. 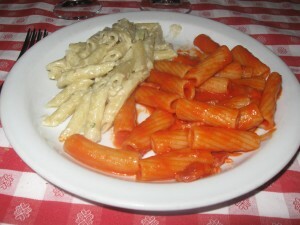 Here’s a picture of the first course of our meal: Delicious pasta! In 1963 Loyola University Chicago became the first and last school in Illinois to win a NCAA Basketball Championship. Although we were once a formidable foe in the nation, our status has declined slightly. We’re in an interesting position as we are rebuilding our team and revamping all athletics at Loyola. The problem I am faced with is I love this school and I love cheering for our teams whether we are winning or loosing. Over the past couple weeks a group of students which I’m involved with have been working on what I believe is the most important part of the college sporting environment; a real student section. We have created new cheers, started advertising more and are simply trying to get our student body to understand we have couple of teams currently doing very well that they should support. Men’s Soccer won the Horizon League this last fall, James McLachlan just broke his 4th school record in track and field and our mens volleyball team is ranked 14th in the Nation after there wins over St. Francis and George Mason this past weekend. There are things to cheer about, so come and join me in supporting our Loyola athletes. 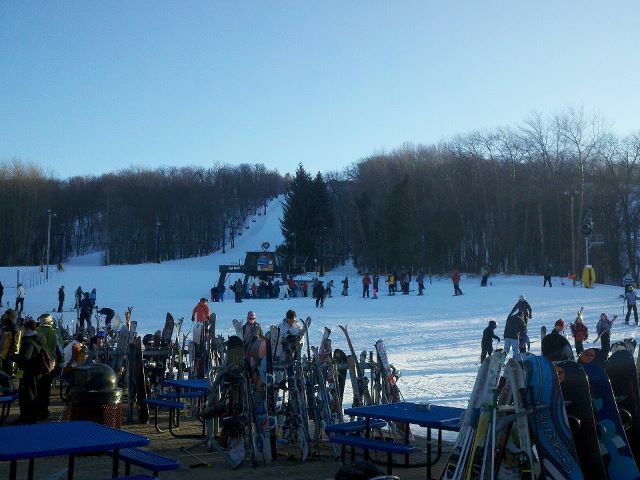 You Can Ski In Wisconsin? 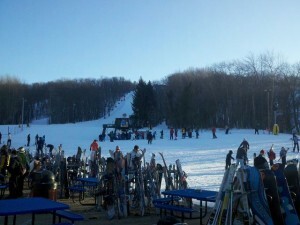 This was the first year that I was unable to go skiing while I was at home over winter break. Outside the fact that there is simply no snow this year, I spent my break in Panama. 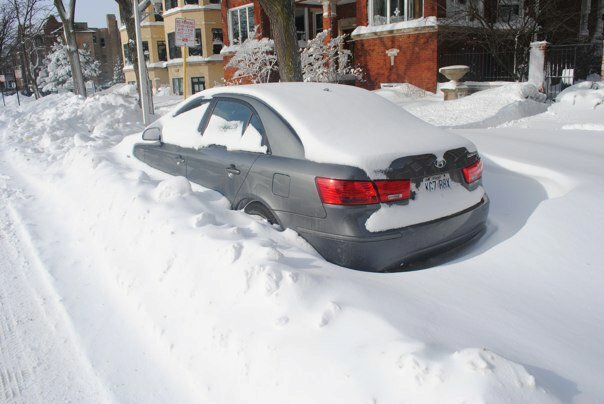 Upon arriving back at school I was informed about another trip that was hosted by Loyola. A day trip to Cascade Mountain. It was not much of a mountain, but it was definitely better than nothing. It was another trip that Loyola provided to the students and I took full advantage of it. Sure, the “mountain” was small and the runs that most would consider intermediate, were marked as advanced and expert, but it was definitely the steepest and largest hill I’ve seen in the Midwest. It was the perfect size to simply point your tips down and not worry about losing control. At no point did I wait in a line longer than five minutes. And for only $35 for the lift ticket, rental and transportation, it was a steal. Loyola planned another great orientation activity last Sunday. 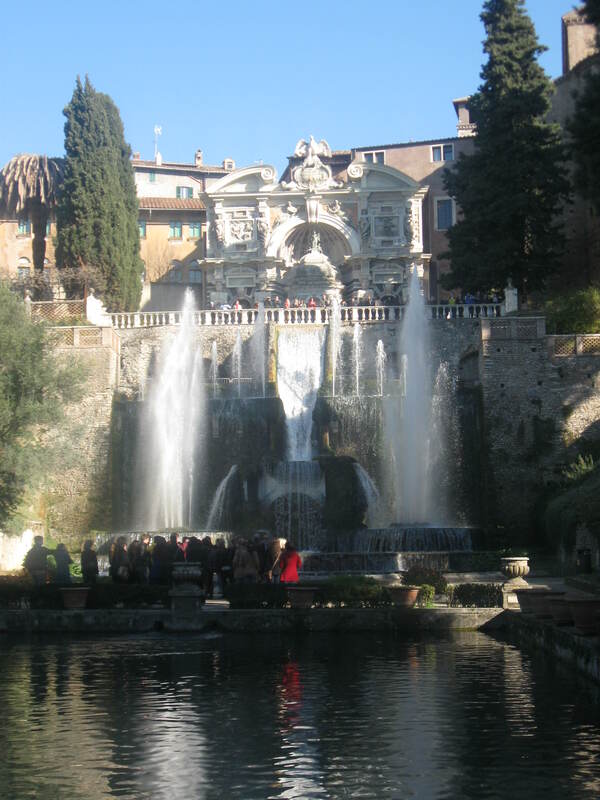 It was a day trip to a small town in the mountains of Italy called Tivoli. While in Tivoli, we visited a pope’s summer home and had time to explore the city. The pope’s summer home was probably the most beautiful thing I’ve seen so far. The house was full of beautiful murals, many antiques and furniture. 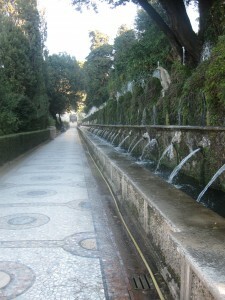 The outside land spread across many acres, and there were fountains everywhere. Luckily, it was a beautiful day, (about 60 degrees…I know you’re jealous) so the experience was even more enjoyable. Afterwards, we had time to explore Tivoli. There were gelato shops everywhere, so clearly I had to stop and get some. If you ever get gelato, get the “stracciatella” flavor. Delicious. The one bad thing about exploring Tivoli on a Sunday afternoon was that everything was shut down. Almost everything closes on Sundays and even sometimes during the week. It’s a very laid back lifestyle. Tivoli was amazing. Next week I am hoping to go to Florence and visit Tuscany and Pisa; I hear it’s absolutely beautiful, and I can’t wait to explore another part of Italy! The holidays are over but it seems January is birthday season in my life. One problem, I’m broke! Being in college can mean being on a tight time schedule and having little time to work and make money. This all too often leads me to have an empty wallet. What does this all mean? It’s time to get creative! Here are a few ideas for gifts this year that are $20 or less! 1. The Loyola Bookstore– It is a great place to get small items that will remind the receiver of you every time they use or wear their gift! Some great inexpensive items include: a Loyola teddy bear, Loyola Hat, Loyola reading glasses or a Loyola t-shirt. 2. Music, Posters or Pictures- Get their favorite band’s CD or poster. Also a framed picture of you and the recipient can be a great gift. 3. For Girls- Nail Polish! There are so many awesome colors out right now for nail polish. Match up their personality with a color and it could be the perfect, inexpensive gift. Fashionable headbands can be very appreciated as well. 4. For Guys- Grab a group of friends a go in together on a video game. Not only will the he love it but you will be able to play it with him and enjoy it yourself. 5. Last but not least, Food! – If you pride yourself in your cooking/baking abilities, homemade treats could be the very thing they want most. Any college student loves a change from Ramen Noodles or dinning hall food. Bake up sometime delicious and don’t forget to add the love! 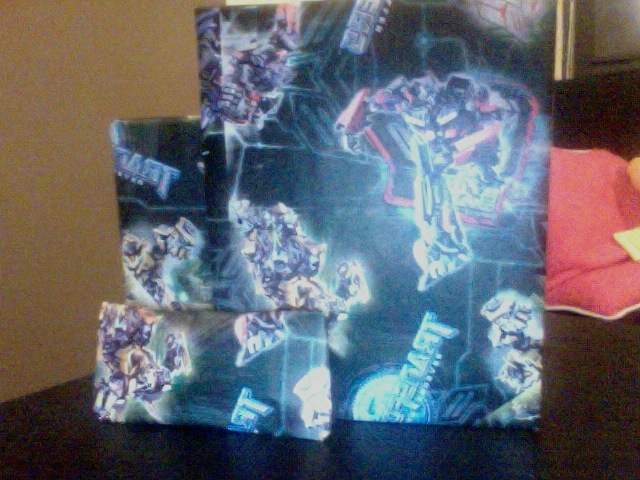 Gifts I got for my boyfriend, wrapped in awesome "Transformers" wrapping paper! If there’s one thing I’ve been taught over the past year and a half I’ve been away at school, it’s that life is so precious. Every day is a gift and you can never take one second for granted. I read this great article in the Phoenix, Loyola’s student newspaper, about a student my age who passed away unexpectedly at the end of last semester. We shared many mutual friends; from what I have heard, she was a Phi Sigma Sigma sorority sister, a beautiful dancer and her smile could light up a room. Over the past few months of my life, there have been several family friends and faces from my childhood that have passed. It’s made me think a little differently and question the importance of certain things I used to place a lot of value in. I would like to share this article from the Phoenix. I believe its author did a great job in sharing Emily Johnson’s life with Phoenix readers. The article will be a wonderful commemoration of her beauty. Click the headline below to view the story.